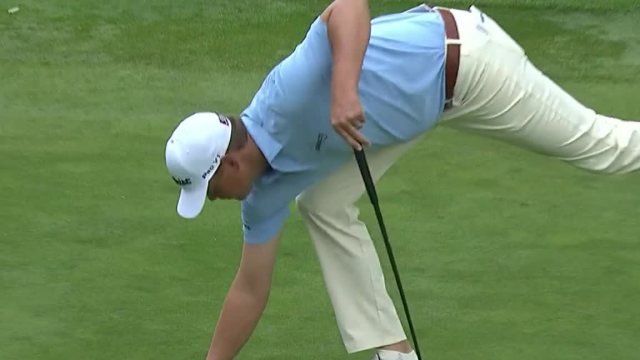 In the third round of the 2019 World Golf Championships-Mexico Championship, Patton Kizzire sinks a 20-foot birdie putt on the par-4 18th hole. Following an opening-round 67, Patton Kizzire reflects on his play at the 2019 Sony Open in Hawaii. Prior to the 2019 Sony Open in Hawaii, defending champion Patton Kizzire teamed up with Hawaiian Native, Isaiah in the Wednesday Junior Challenge. Prior to the 2019 Sony Open in Hawaii, Patton Kizzire talks about maintaining confidence despite so many distractions.